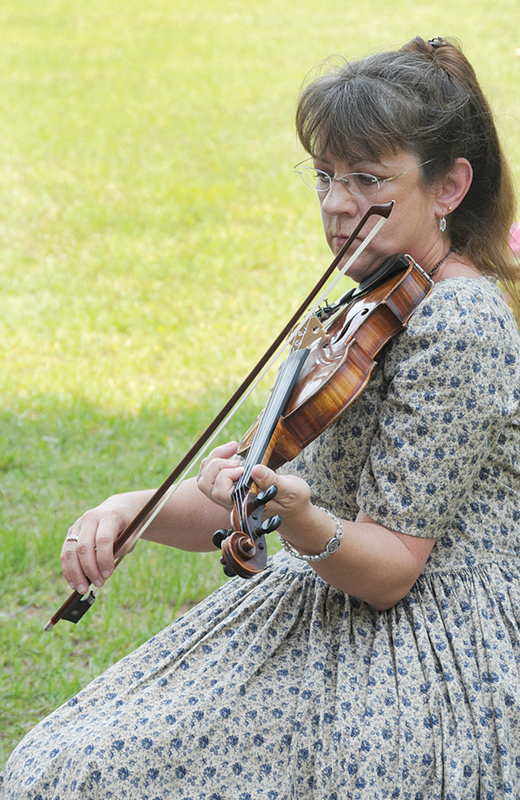 PALESTINE – For those who enjoy old time and dulcimer music, the 16th Annual Palestine Old Time Music and Dulcimer Festival is planned for this weekend, starting Thursday and continuing through Saturday, March 23-25. In past years, the event has drawn at least 350 participants and generally brings in musicians from more than 30 states to Palestine for their well-known festival. Concerts, jam sessions and workshops are set throughout the three-day event, taking place at the historic Museum for East Texas Culture, located at 400 Micheaux St. behind Reagan Park in Palestine. The event will kick off with the special Thursday evening concert, slated to start at 6:45 p.m.
Others scheduled to perform during the Thursday night concert include Roger Digby from Essex, England, and Bill Gailbraith and Emily Standish from Houston, among others. On Friday and Saturday, the festival will be all-day long starting with workshops and jam sessions from 9 to 10:15 a.m. and from 10:45 a.m. to noon, followed by a daytime concert from 1:30 to 2:30 p.m. each day. In the afternoons, workshops and jam sessions will be held from 2:45 to 4 p.m. followed by the evening concerts from 6:45 to 10 p.m., followed by jam sessions. Wright has hammer dulcimer instructors coming from Dallas, Oklahoma and Missouri, as well as instructors for mountain dulcimer, banjo, mandolin, upright bass and guitar. Many past headliners and performers return to attend the festival, whether or not they are scheduled to perform. “They are coming because they say they just can’t stay away, they really like our festival,” Wright said about musicians Howard Rains, Tricia Spencer and former national dulcimer winner Sara Morgan from Nashville. Sacred harp singing also will be featured on Friday and Saturday. “It’s a form of unaccompanied singing. You sing from these books that use the sacred harp system of teaching people how to sing. Instead of using the notes, you observe what shape you are on so you know where you are on the scale,” Wright explained. The Saturday night concert will open with the Michigan group, the Sea Cruisers. Pre-registration to attend the festival is not necessary. Those wanting to attend the three days of the festival (Thursday through Saturday) including the five concerts, workshops and jam sessions, the registration is $80. For the three days without the workshops the cost is $55 (five concerts and jam sessions). A family plan also is available for $160 for mom, dad and all of the children. Single-day passes are available for $40 (two concerts, workshops and jam sessions). A single-day pass with no workshops (two concerts and jam sessions) is $25. Admission at the door for concert tickets are $10 per person, per night. In addition to the workshops, concerts and jam sessions, the festival has vendors who will sell items ranging from instructional books, t-shirts, hats, soaps, etc. “We also will have a few music vendors who build mountain dulcimers, so if you were interested in purchasing a brand-new dulcimer, you could do that at the festival,” Wright said. Headliners scheduled to perform during the Friday and Saturday day and evening concerts include: Steve Seifert, Rick Thum, Roger Digby, Gerrard, Justice, Kirrane, David Lindsey, Marsha Harris, Eddie and Bonnie Bond, Fridley, Gary Gallier, Steve and Sheryl Hartz, Charles Whitmer, Cassandra Damper and the Mountain Dulcimer Extravaganza and The Wright Family. For more information about the festival, contact the Museum for East Texas Culture at 903-723-1914 or visit the festival website online at www.oldpalmusic.com.